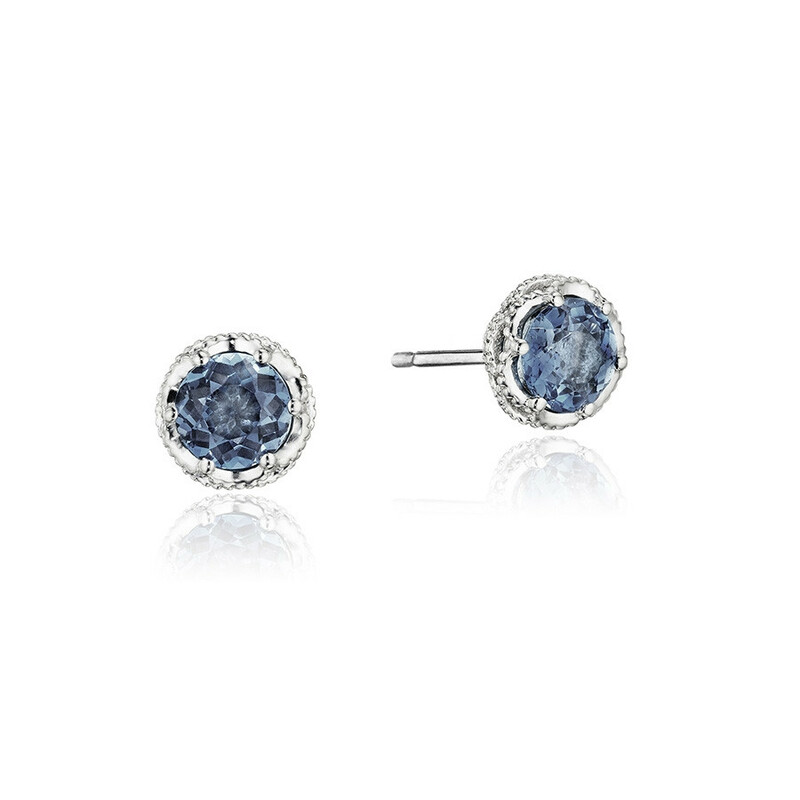 Six prongs and a sterling silver basket secure petite London blue topaz gemstones in these endearing earrings from Tacori's Island Rains collection. The studs offer an easy-going elegance that's perfect for everyday wear in all situations, for all occasions. It'll take no effort at all for you to fall in love with these Tacori stud earrings!